What they actually mean is don’t wash your cast iron with soap and water, coarse brushes, or abrasive cleaners. 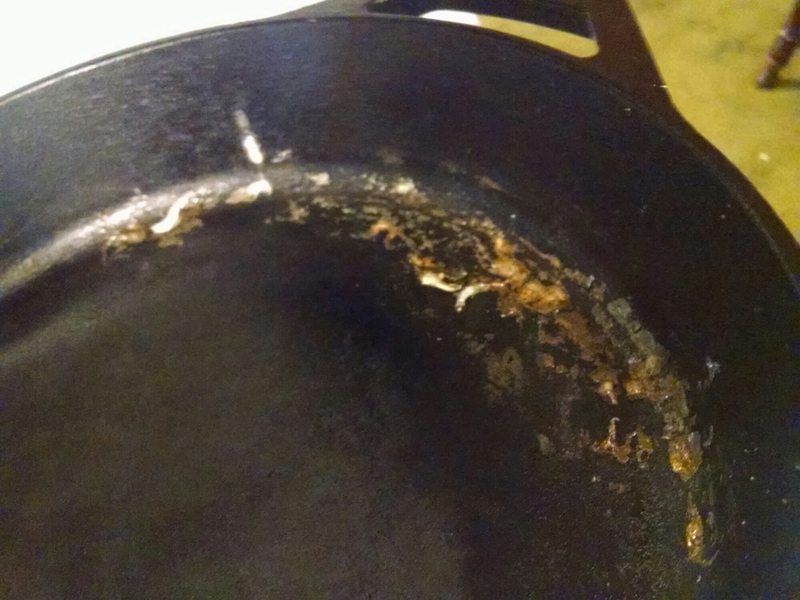 The truth is, cast iron occasionally gets a bit dirty. 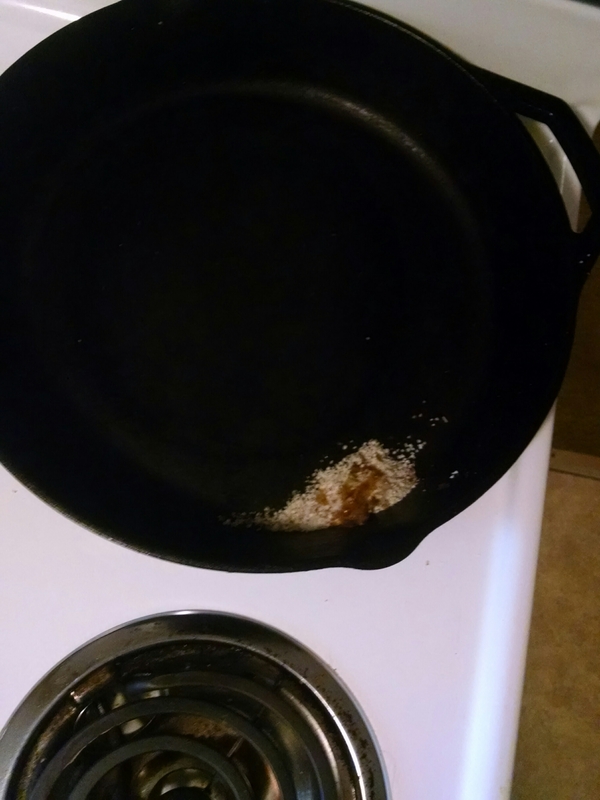 Some may say that a cast iron skillet that is appropriately seasoned will never have food stick to it. I disagree. In my experience, I frequently fry eggs in my cast iron skillet, which is adequately and correctly seasoned, and yet somehow sticky bits of egg manage to cling to it. 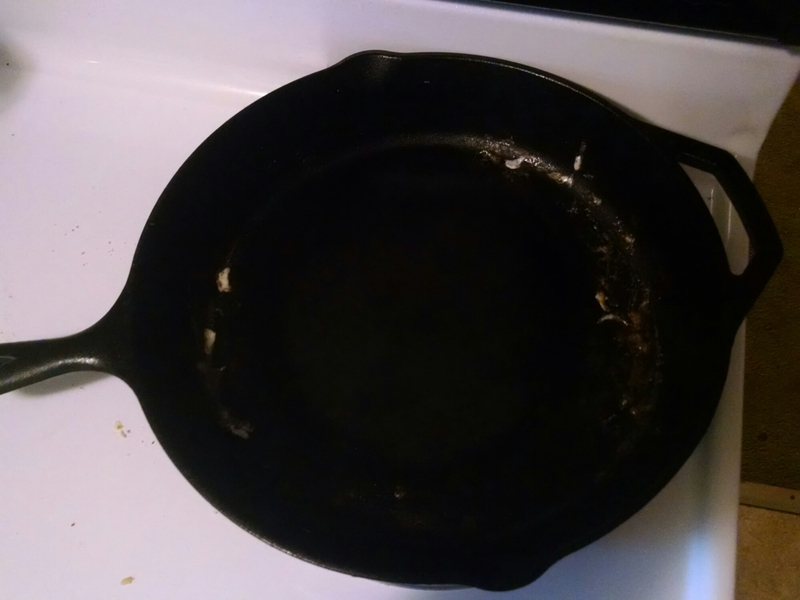 So, my mother-in-law recently educated me in how to clean your cast iron without unseasoning it. Before the days of Dawn and Comet, people used things like vinegar, and baking soda, and salt to clean in their homes. For reasons that stem from my allergies and sensitivities to the fact that I don’t want harsh chemicals available for my toddler to get into, I avoid the harsher commercial cleaners and stick to the old school methods. To clean cast iron, simply let it cool after cooking. Either with your fingers or a paper towel (I’ve found my hand works best) rub the salt into the skillet, “scrubbing” off the stuck bits. When you “season” cast iron, what happens is, the oil super heats and bonds to the iron making a sort of polymer non-stick coating. 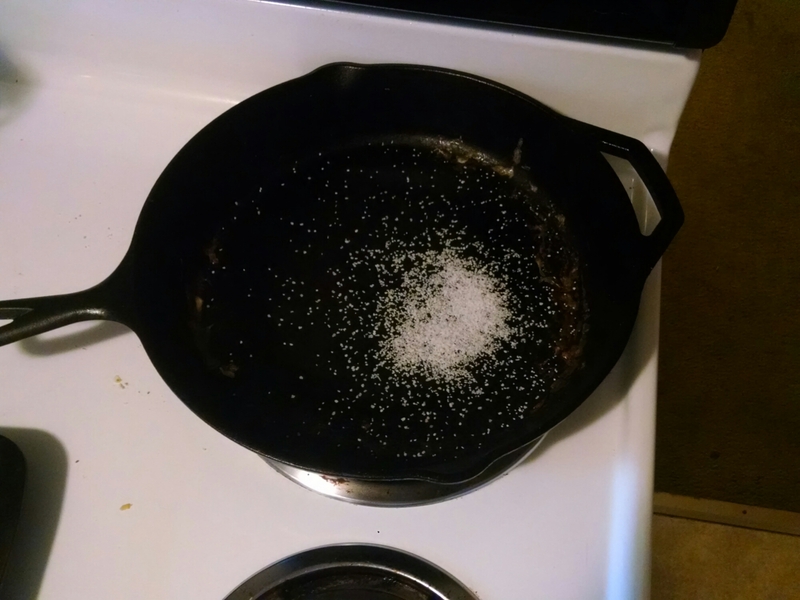 This salt cleaning method works differently than abrasive cleaners because as you scrub, the salt breaks down and becomes finer as it is ground into the skillet, rather than coarsely breaking down and removing the seasoning from the skillet. 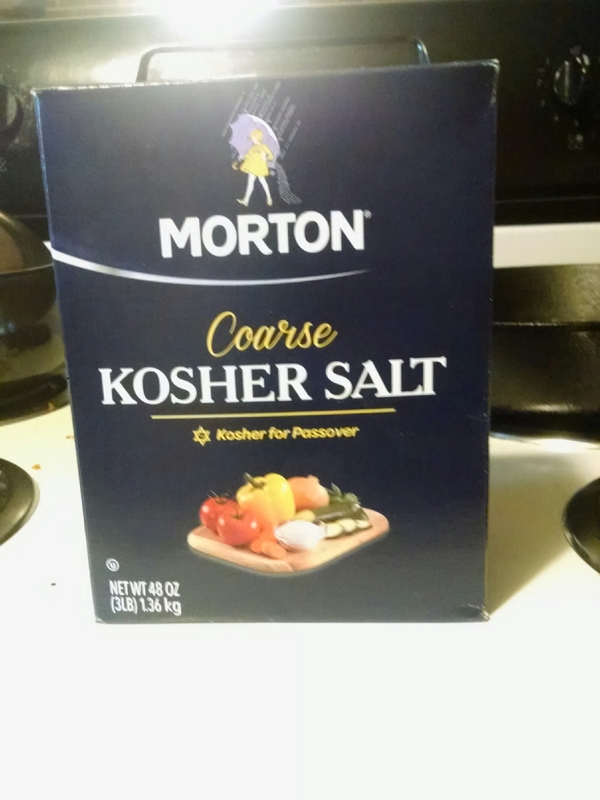 What’s more, I’ve found the salt helps to flavor my skillet after each use, so I tend to use less salt in my cooking. 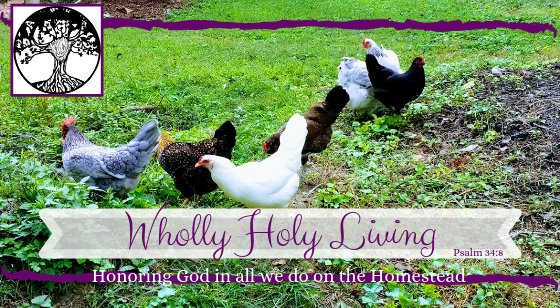 Dump the salt/residual food bits and viola! Your cast iron is clean and ready to go for its next use.